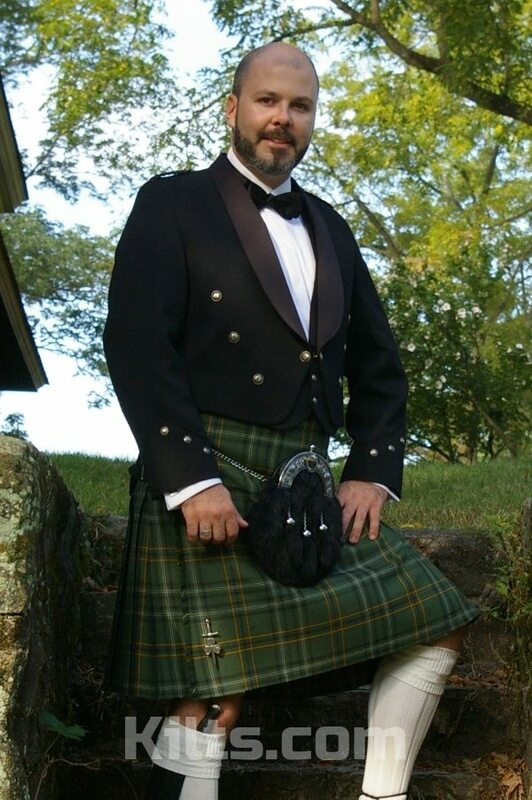 Please consult our kilt jacket measuring guide before ordering. These jackets & vests are based on UK sizes. For American customers, please order one size up from what you would normally order (order a 42 Reg instead of a 40 Reg). 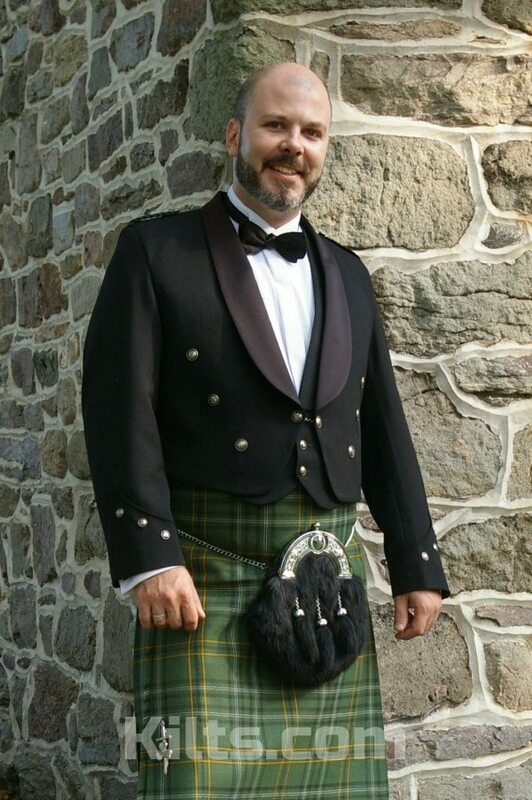 The Brian Boru Jacket and Vest completes any formal kilt outfit with style & comfort. 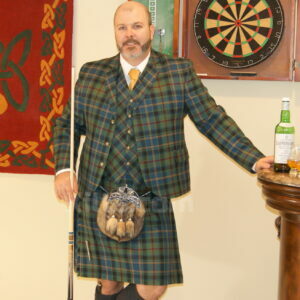 This Irish Kilt jacket resembles the Scottish Prince Charlie jacket. 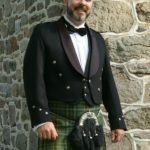 The main difference is that the Brian Boru Kilt Jacket features a different collar which is of a rounded satin ‘shawl’ style. It also has round buttons which feature a harp emblem. The Brian Boru jacket and Brian Boru Vest are both proudly made in Scotland using our high quality 15 oz Wool Barathea. 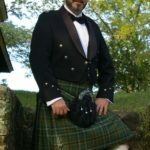 Please note – All our Brian Boru Kilt Jackets and Brian Boru Kilt Vests are custom made, and will take anywhere from 6-10 weeks to ship to you. Also, because these jackets and vests are made in Scotland, they are UK sizes. So, if you are US size 40 Regular, then order the next size up (42 Regular). 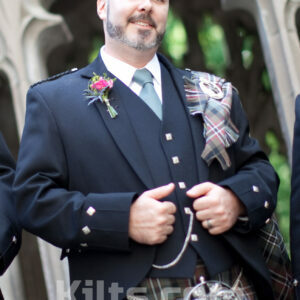 Please also consult our kilt jacket measuring guide prior to ordering.